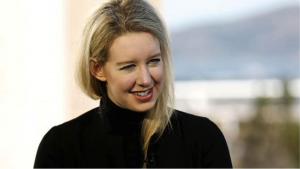 I just read an inspiring article in CNBC regarding the world’s youngest female billionaire. Elizabeth Holmes founded Theranos while she was a sophomore at Stanford in the fall of 2003 (she dropped out a few months later). Today, the company has generated a lot of buzz for developing a revolutionary approach to the blood test. Theranos’ innovation theoretically does clinical lab testing faster, cheaper, and, in some ways, better. Because of that, Theranos could upend the branch of medicine that provides the data used in roughly 70% of medical decisions. In 2014 Theranos raised $400 million, and the company was valued at $9 billion. As a 50% owner of the company, Holmes became the youngest self-made female billionaire in the world. “We believe strongly that the future of healthcare is in enabling the individual to have the information that they need to take ownership of their health,” explains Holmes, Theranos founder & CEO. While that accomplishment alone is very impressive, I love the fact that this young entrepreneur is calling on women to help each other in business. A recent Forbes Magazine article highlights her hashtag promotion called #IronSisters, designed to encourage women to show their support of one another. Her inspiration? None other than the Iron Lady herself—one of Britain’s most polarizing figures, former Prime Minister Margaret Thatcher. I am happy to be #IronSisters with the world’s youngest female billionaire. I am also happy to share valuable information on moving to Napa, Yountville, St. Helena, and Calistoga. Please contact me at 707-738-4820 or email [email protected].